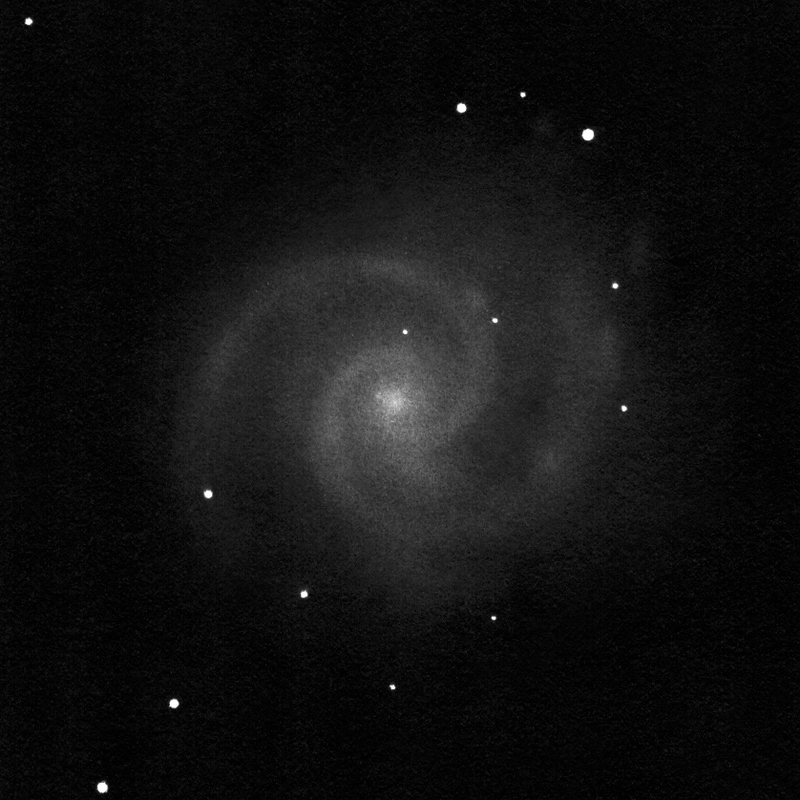 M 74, 16" drawing inverted into positive. 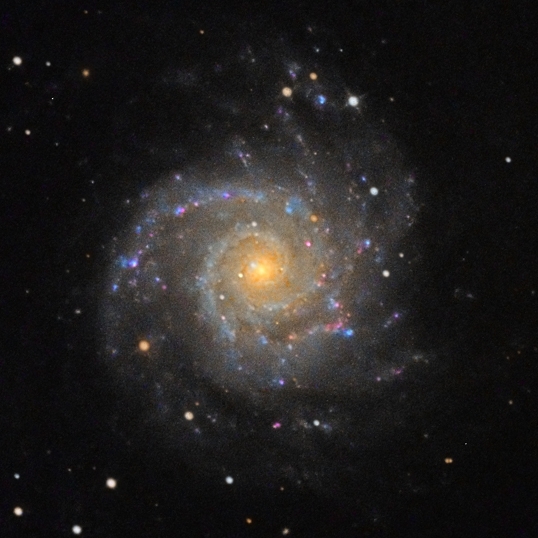 Messier 74 (M 74) is a relatively close face-on grand design spiral galaxy. It is about 32 million light years away in the constellation of Pisces. 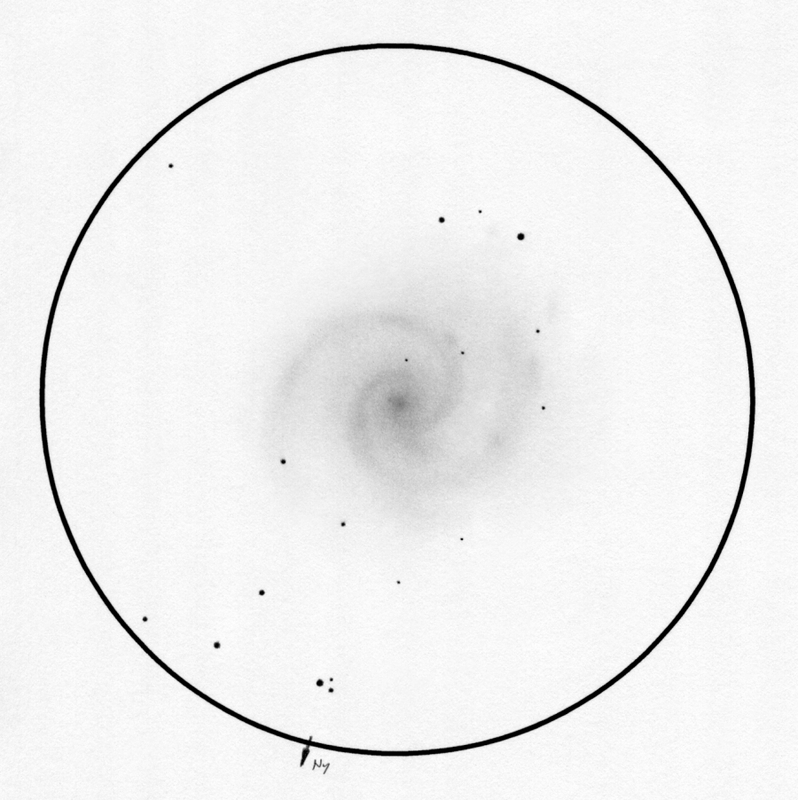 It's morphological type is SA(s)c, that is a slightly S shaped spiral with well developed spiral arms and without a bar. 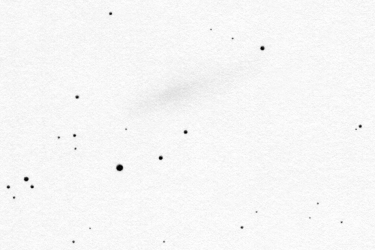 M 74 is one of the lowest surface brightness objects of the whole Messier list. 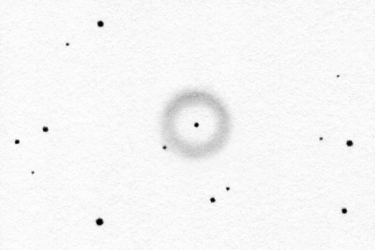 One could expected it to be bright and big based on the catalogue data but it is a very obscure object at first sight. Even using a 16" scope I needed to take a brief look at the map to get the exact location - it is very easy not to notice it. The whole surface is lacking contrast. A lot of time and effort is needed to decipher the details. 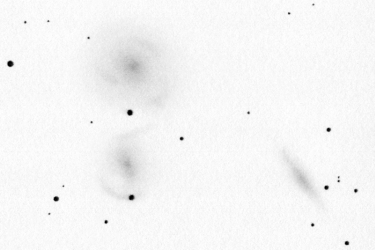 I could see hints of the spiral structure after already a couple of seconds but it is a vague sight. The outer arm to the East and South and the outer edge of the inner arm towards the South are the most obvious. The area to the Northwest of the nucleus seems to be pretty chaotic - in good agreement with the photos. Star forming regions in M 74. 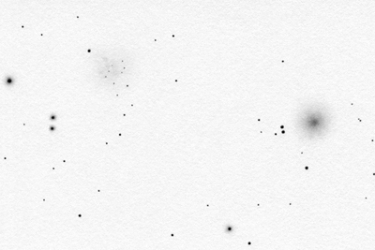 Of course I could see only a few of the star forming regions (see the photo below). Some bright spots are the combined light of more HII regions and some bright areas were probably seen incorrectly. 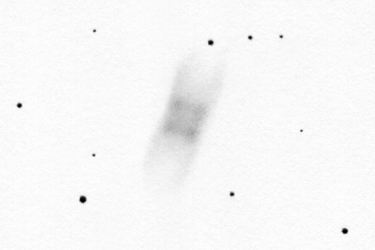 Surprisingly there were a few moments during the observation of M 74 when I could see almost all of the details at the same time. That is the eyepiece impression looked almost exactly as my ready drawing. This is rare. I usually don't see all the details at the same time, only those which I am concentrating at. This usually means a smaller area. The HII region between the two stars to the East is very much in question - I am not sure at all that I have seen it. I devoted several hours to observing this little detail only. On the last night there were a few moments when I think I could see something there. But this is not sure at all. 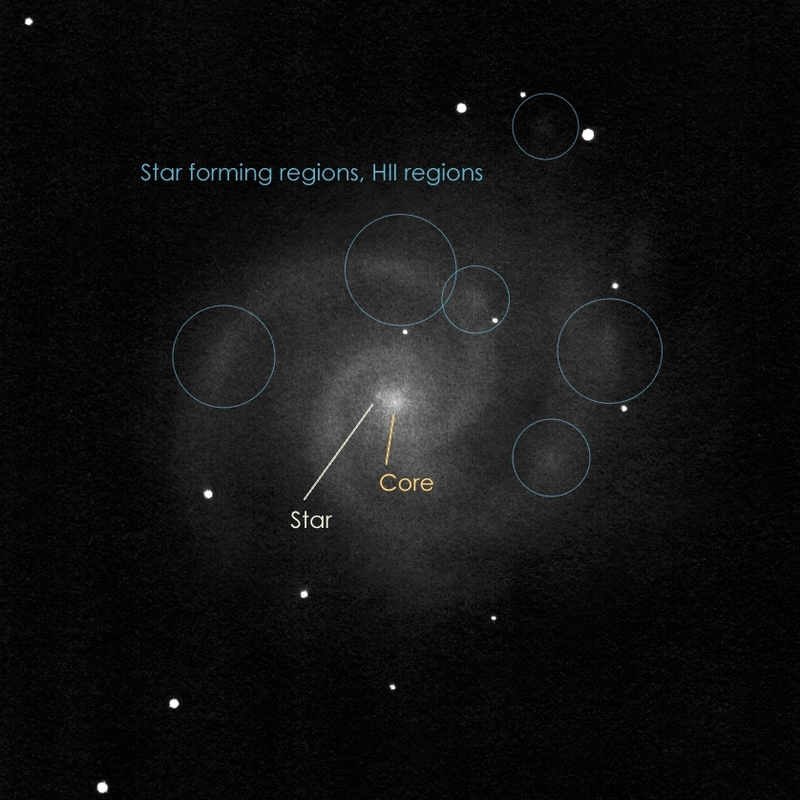 I would probably need better sky conditions to surely observe this little star froming region. 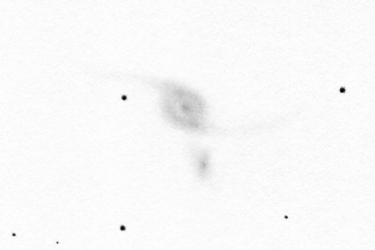 I took a look at photos of the galaxy during daytime before the observation and I spotted this little HII region between the two stars which seemed to be bright based on the photos. I wanted to try to see it with my own eyes. I didn't take a look at any photo at night during the observation. You can see a photo of M 74 above courtesy of László Szeri. It was made using his 18" Newtonian astrograph. I rotated and cropped the original photograph to show a similar area of the sky as my inverted drawing. Of course the live view in the eyepiece can barely be compared to the results that can be achieved with modern cameras. Nevertheless I still managed to capture a little bit of the ethereal beauty of M 74. 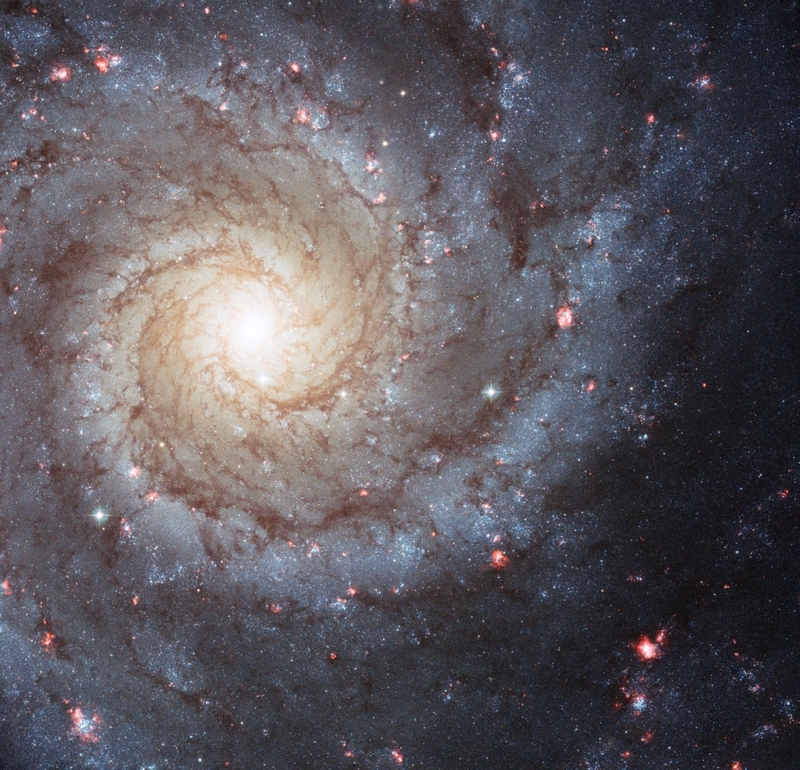 The inner part of M 74 can be studied in magnificent detail in the picture below made using the Hubble Space Telescope.